It's a greater 'tater than I've ever grown! Don’t call it simply a potato it is a poootaaaatoooooooo. 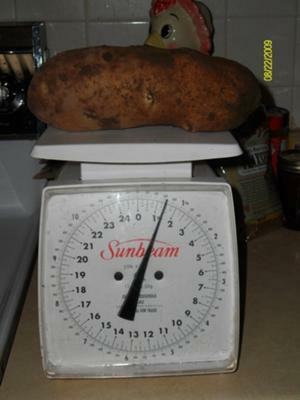 I have never seen this big potato in my life. Oh, god this is a gift from god for your hard work in the farm. Did you sell that potato? How much did you got from that huge one.